Well, this has been a long, arduous trip. It was one of those models where you lose inspiration, you make mistakes, and it feels more and more frustrating to spend time on, rather than on a more rewarding project -and not because of any fault of the model itself. It was just one of those builds I guess. I had no clear conception where I want to end up, I made some mistakes, and it felt like a choir trying to push forward. The end result however, was surprisingly nice. So this is the story of the poor, neglected Lowe. 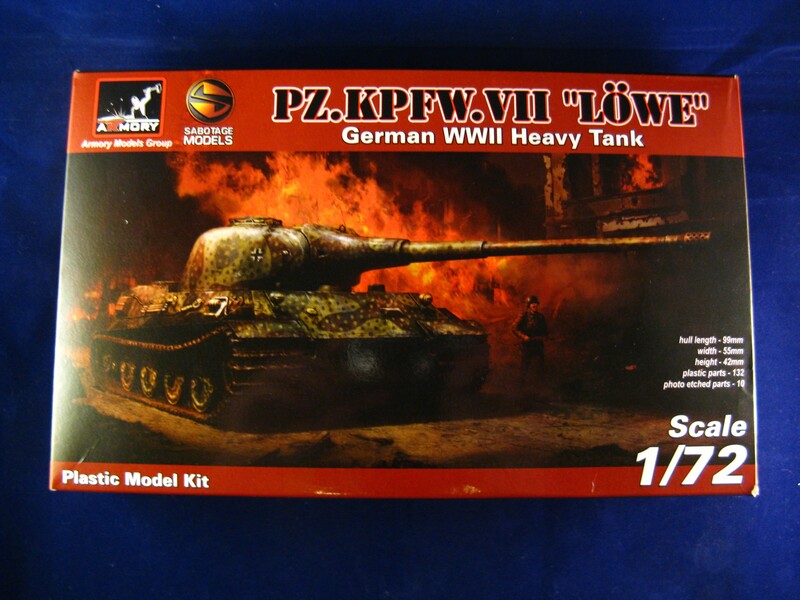 The Löwe was a 90 ton super heavy tank, which was planned -but never built- by Nazi Germany. 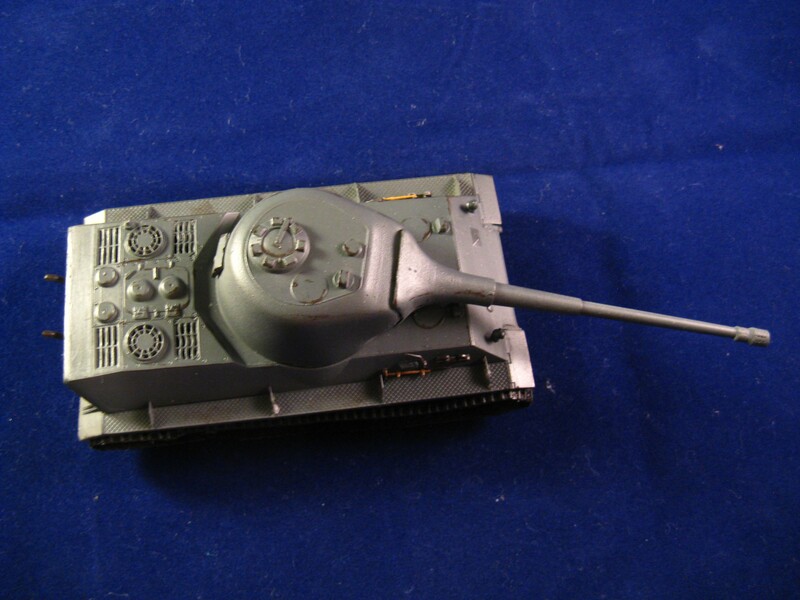 It was superseded by the even heavier Maus- which actually did get built. Along with the super heavy members of the Entwicklung series, these gigantic tank design programs demonstrate some of the lunacy of the direction WWII tank design took to in Germany during the second half of the war: embarking on even more and more ambitious tank projects in search for a war-winning superweapon, consuming valuable resources and manpower, while the fronts were collapsing all around them. 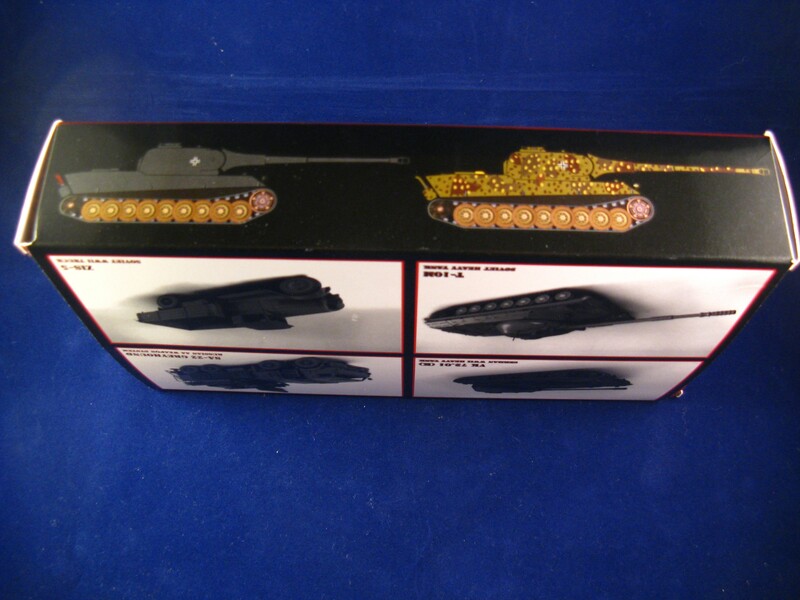 It did give us some nice-looking tank models, though, so there is some silver lining. Disclaimer: I’ve used my review in Armorama for some of the text. The tracks are flexible, and made out of several segments. The detail is somewhat soft on the inner side; again not a big problem. 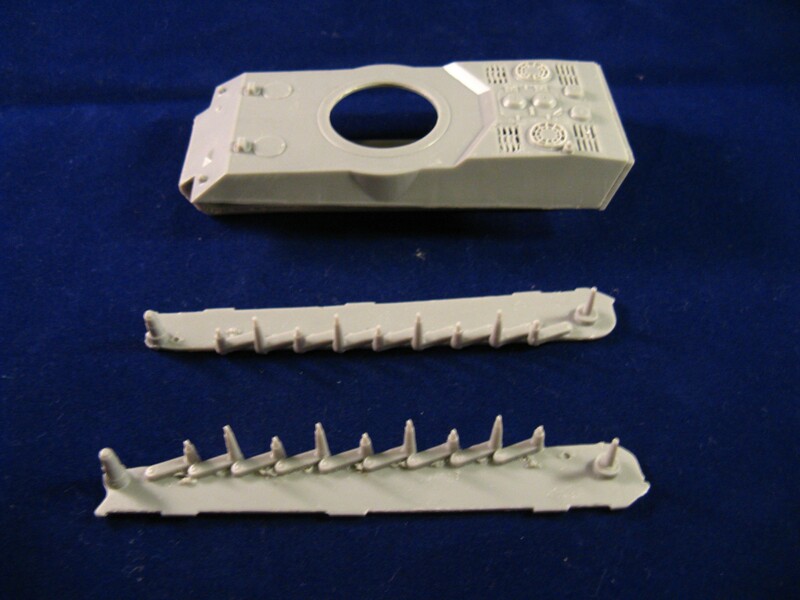 This solution of segmented flexible tracks is an interesting combination of the link-and-length plastic tracks and the “rubber band” style tracks. It makes it easier to install them, but alignment is a problem – in fact it is kind of a nightmare. A set of PE tracks would have been really nice (although this is a bit too much to ask for this price I admit), or at least some plastic alternatives. All in all, the kit could use some more brass. As for tracks and engine deck grilles I’m happy to report that Armory has came out not long ago with an updated version of this kit, which alleviates all these issues. Finally, the modeller gets an option of building a “historical” model (whatever it means in this context), or the World of Tanks version of the vehicle (you get the very characteristic muzzle break from the game, and a different engine hatch on the back panel). Instructions are well done, and easy to follow, but the first part of the build is a bit challenging if you follow them. The hull has to be assembled from multiple parts (as usual in these kits). The issue is that if you follow the instructions, the hull parts will not fit. Once you assembled the “tub” that makes up the lower part of the hull, you are supposed to glue the fenders onto the sides, and finally place the upper part of the hull on top of this. The plastic parts are on the thick side, and the guiding ridges are not perfectly placed onto the fenders. Despite of how small these differences are, they do add up. When you put the lower and the upper part of the hull together, there will be a gap on the front where these two halves should meet. The best –and quite easy- way to get around this problem is to do some surgery first, and to deviate from the instructions. First, thin the sides of the top part of the hull from the inside a bit (for an easier fit into the grooves molded onto the mudguards). 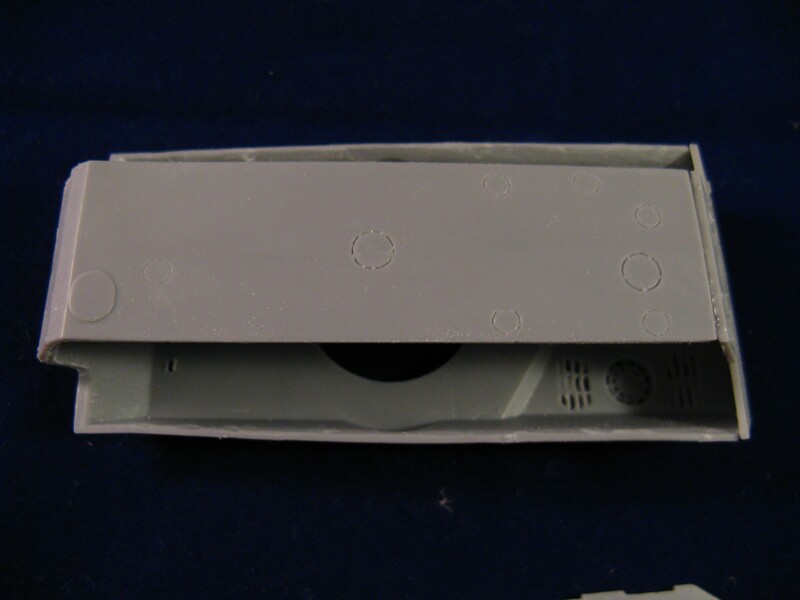 Glue the back panel, the top and the bottom parts together first (parts 1, 24, 35), creating the overall shape of the tank (see photos) without the sides. This way the top and bottom will touch in the front. This is the time to use some filler to make sure the attachment points on the back and the front are smooth, and there are no seams anywhere. Sand off the guiding ridges from the side parts (parts 34, 36) of the hull, and glue them in place. Cut away the guiding ridges from the sides of the fenders (parts 23, 25). It is necessary, as they are supposed to go on top of the side panels, locking together with the ridges on those parts, fitting between the two hull halves. Unfortunately there is not enough space. The fenders themselves are not thin enough to fit, but this will not be an issue if you remove these ridges. (It would have been more fortunate if the fenders were made of PE.) Glue the fenders in place, and you are almost finished with the build. The other issue I had with the kit was that the attachment of the back panel is a bit unfortunate. Usually the top of the hull goes over the back panel, covering it. This follows the original way of construction, and does not break the upper surface with an extra seam. 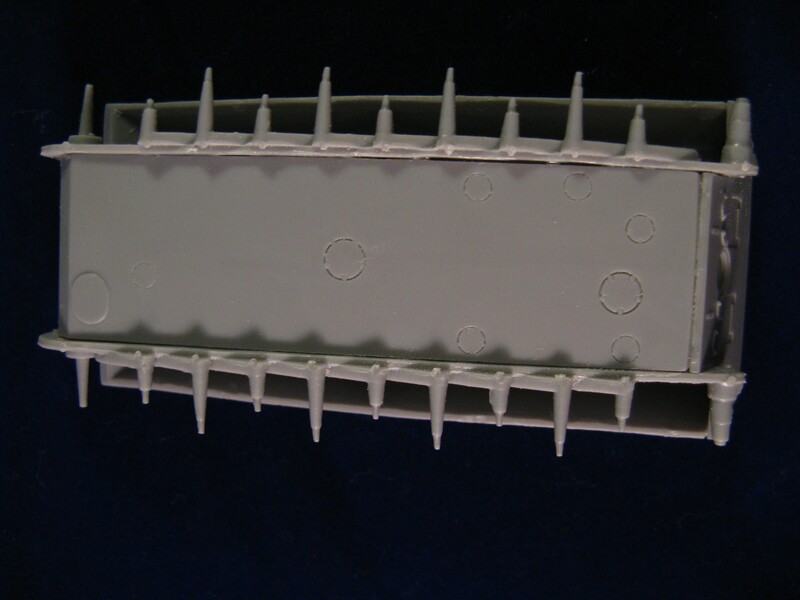 In this kit, however, the back panel is placed behind the top part, creating an extra seam on the top of the hull. This, unfortunately, needs to be eliminated with filler. 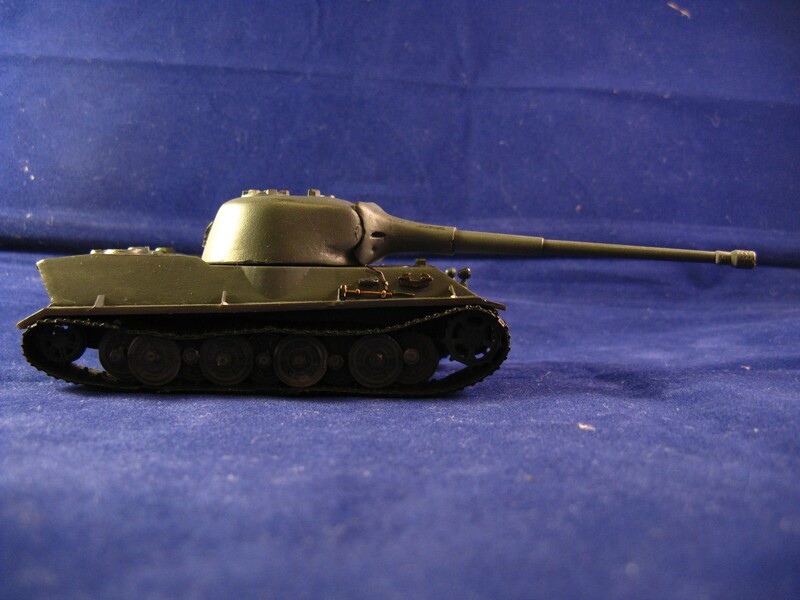 The turret has a strange, round shape, which is very uncharacteristic of the usual angular German designs. 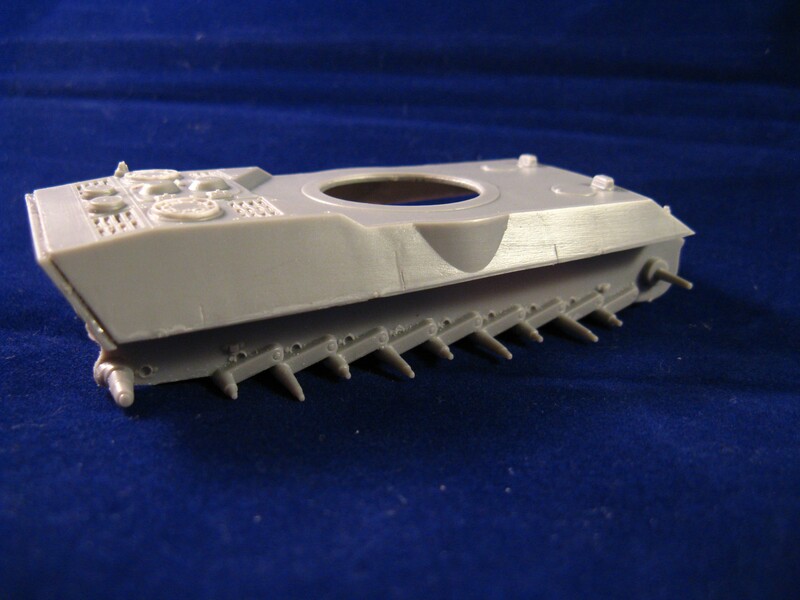 It is made out of three parts: the main part of the turret (part 2), the frontal bit under the gun mantlet (part 6), and the bottom part, which will not be seen (part 17). 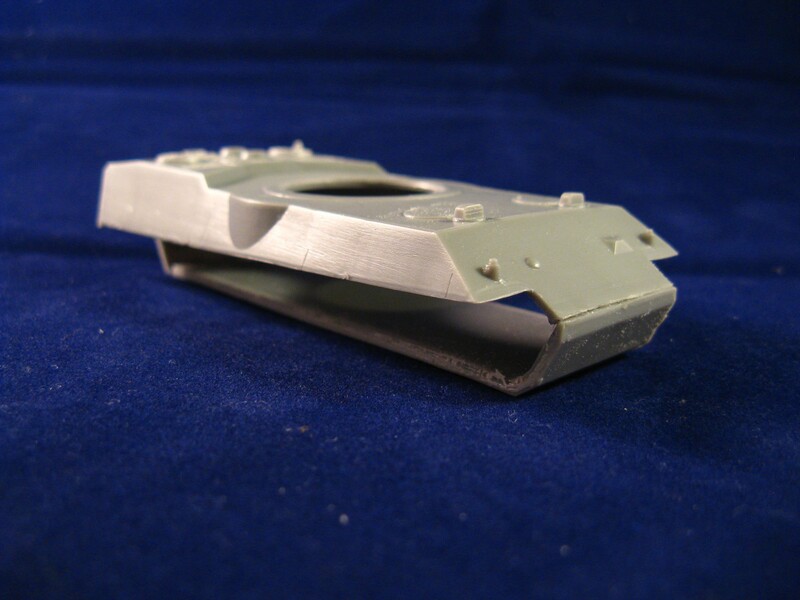 This bottom part has two invaginations which should fit with the two little pegs molded onto the smaller, frontal part of the turret, but they are too small for the actual parts. You will have to enlarge them with a scalpel. 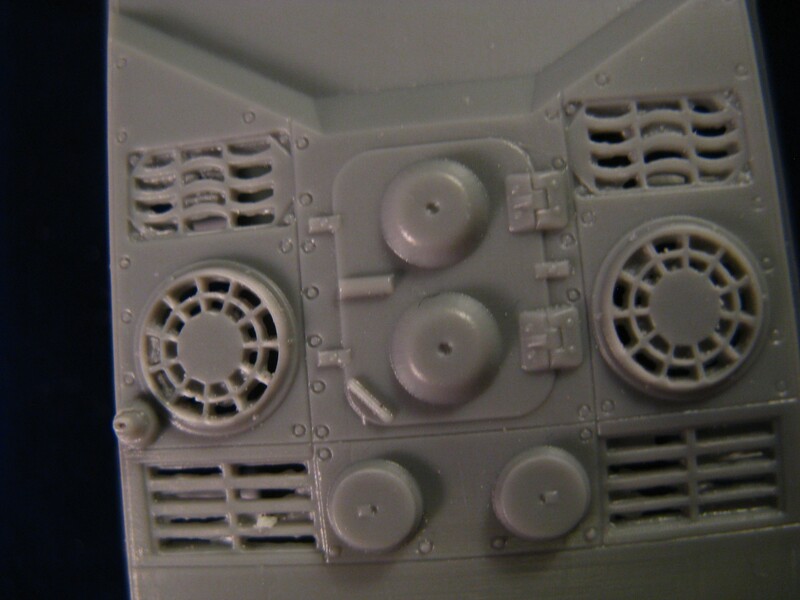 It’s not a major surgery, and as it will be hidden under the turret, it will not impact on how the model will look. The rest of the kit falls together without any problems whatsoever. I have finished the model to the point of weathering for this review. A couple of details are missing (the towing lines, for example, as I will need to fashion one later). 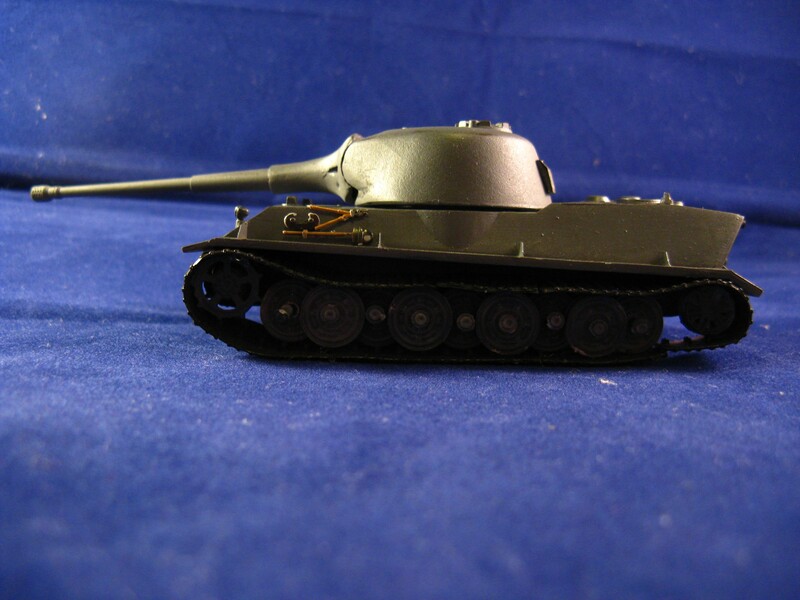 Photos of the finished model will be posted in the World of Tanks campaign forum. 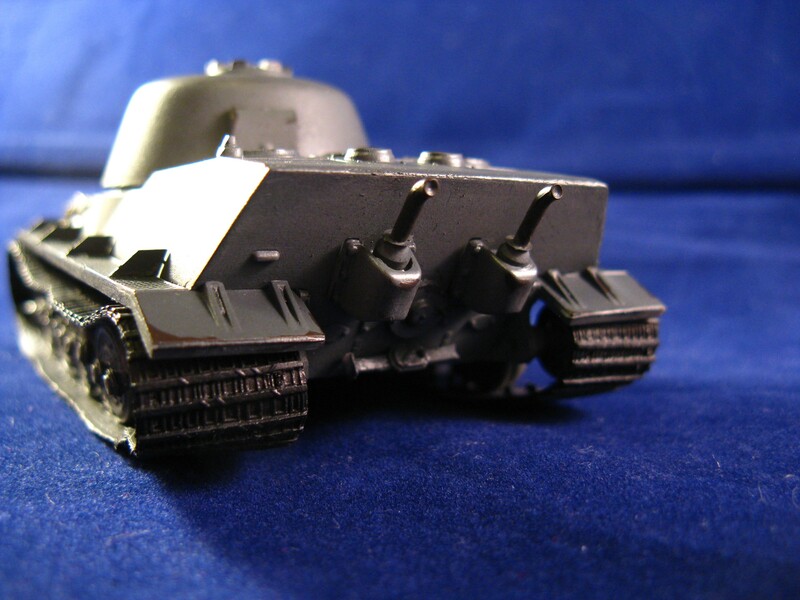 I’ve given the tank an uniform German grey color, before attaching all the equipment, tools, etc to the hull. At this point I kind of lost my motivation to go ahead. I had other projects, and I felt a bit stalled; I was not sure what direction I would like to take the model. The next breakthrough was when I spotted a punch set in a charity shop; I managed to make little rings out of masking tape. They were not exactly good, but I went ahead, nevertheless as I wanted to get the painting over with. The other thing I’ve failed to consider in my rush to finish the build was the scale effect: the model had a really bad, very strong contrast. (The colors should have been “toned down” in this scale.) Needless to say I went on working on more successful projects; nobody likes to be reminded of mucking things up. The next step -after standing like this in my “half-finished” box, I’ve decided to give it a winter whitewash; to use the model for practising -and to finish it finally; and this I did. I’ve covered the Lowe with dullcoat, and used Tamiya white in several light, irregular layers. About 30 minutes later I’ve brought out my ammonia-containing cleaning product, and proceeded to do some practice on the Windex chipping method. This relies on the fact that ammonia dissolves Tamiya paints, and by preparing a 2-3% solution you can carefully remove some of it with a brush. (It’s a process that can be controlled surprisingly well.) It creates much subtler chips than chipping solutions/hairspray technique. Once the whitewash was on and made look worn, I was in the finish. The model finally looked like a proper model, all past mistakes corrected or hidden away, and even the octopus camo pattern looked good under the whitewash. The emotional roller-coaster was high again. Some white pigments (chalk ground up) in water was used on the fenders and the back of the engine compartment to simulate accumulated snow. Since it was a winter vehicle I wanted to make it looked dirtied up. Winter slush is dark, almost black. I’ve used oil paints as a slurry, and to make it look even dirtier and disgusting I’ve put some green in the mixture as well. I’ve used MiniArt’s painting guide to the SU-122 as an inspiration: the winter camo (“Rudolph, the red topped SPG”) option is quite dirty and covered in this dark, blackish much. I dabbed the oils on using a large brush, and used a clean, wet brush to “wash back”, and remove the excess from the top part of the hull, and other regions where I judged the dirt to be too much. The brush then -since it had some pigments trapped in it already- was dabbed onto the turret and other “lightly” soiled areas. Essentially this was it. 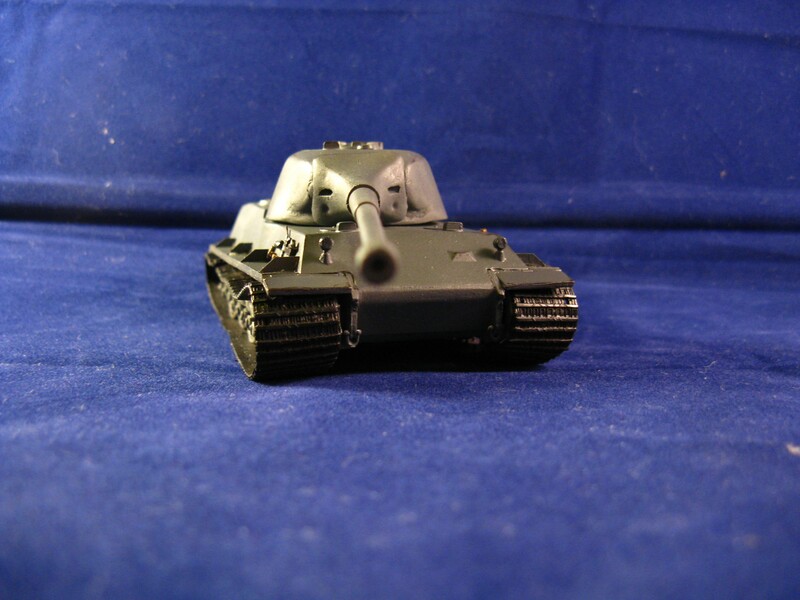 The moral of this story is essentially this: despite of all my efforts to mess it up, I managed to make something resembling a presentable tank out of this model. Great work- it turned out very nice in the end. May pick the kit up myself- I’m a sucker for anything experimental.